Romania is a country steeped in the legend, but not everything about it that you have heard is true and many things people just don’t know about. Now to bring light to the darkness of this land, we present you with the nine things you didn’t know about Romania. There are many legends about the so-called gypsies who are more properly known as Romani and many people falsely believe they are European people by origin but they would be wrong. 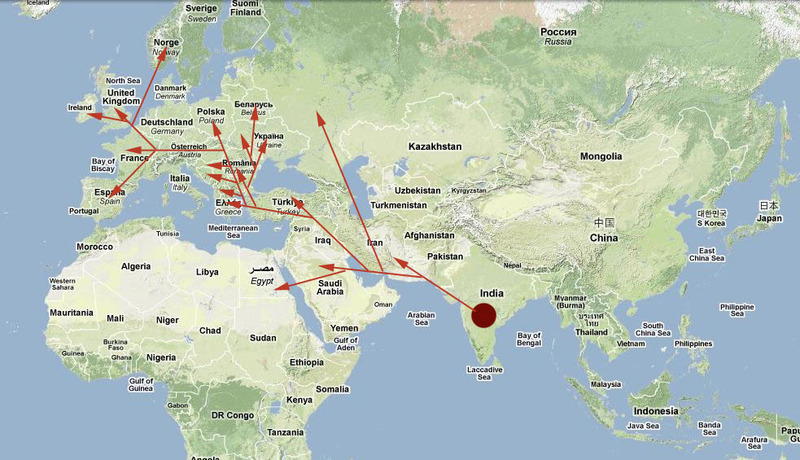 Gypsies or Romani actually originated from northern India. Their language, although indo-european as origin and thus part of the greater family of languages that belong to this group, is more closely related to the languages of the Indian subcontinent such as Hindi than modern European languages. The Romani wandered out of India over a millennium ago making their way to Europe and subsequently have had many difficulties integrating into local populations. The Romani wandered out of India over a millennium ago making their way to Europe and subsequently have had many difficulties integrating into local populations. Nowhere is this truer than in Romania where they live in segregated communities, isolated from mainstream Romanian society. Because of this isolation and self-imposed ethnic segregation, Romani are often targeted as objects of persecution. Yet at the same time, there’s substantial evidence that Romani do commit crimes at a higher rate than the local Romanian population ranging from pickpocketing to robbery and more. But what is perhaps most interesting is that Romani do not necessarily regard others outside of their direct tribe as friends and people to be trusted. Either way, the Romani have shown themselves to be persistent in maintaining their ethnic separatism, while ignoring the host Romanian culture which does not bode well for them in the future, as it has not done so in the past. No list of Romania would be complete without mention of the legendary and perhaps more appropriately infamous warrior Vlad Tepes, more commonly known as Vlad the Impaler, whose historicity cannot be doubted, but whose legend extends far beyond his historical actions as he was immortalized as the preeminent vampire of the legend of Dracula. However, the question remains who was the real Vlad Tepes? Born the second son of Vlad Dracul or Vlad the dragon, Tepes was born in the 15th century to an environment surrounded by hostiles, the greatest of which was the Ottoman Empire which had been expanding at an alarming rate. He was Prince of Wallachia three times during his lifetime. Vlad was not the most successful political ruler having suffered exile and imprisonment with periodic breaks in his rule but what he was most famous for was his unparalleled cruelty and how he meted out punishment and justice, who is known for his enjoyment at the suffering of others. However, the question remains who was the real Vlad Tepes? 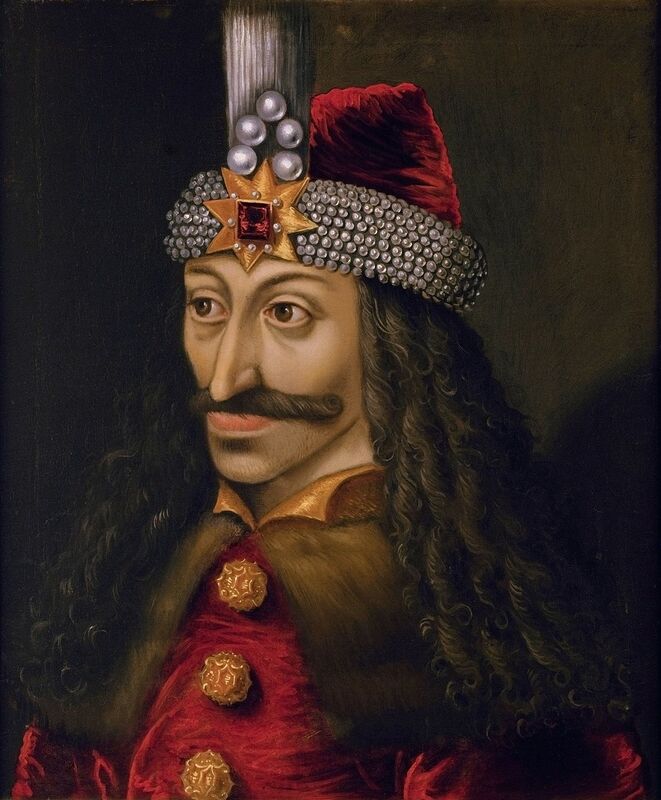 Born the second son of Vlad Dracul or Vlad the dragon, Tepes was born in the 15th century to an environment surrounded by hostiles, the greatest of which was the Ottoman Empire which had been expanding at an alarming rate. He was Prince of Wallachia three times during his lifetime. Vlad was not the most successful political ruler having suffered exile and imprisonment with periodic breaks in his rule but what he was most famous for was his unparalleled cruelty and how he meted out punishment and justice, who is known for his enjoyment at the suffering of others. A late 15th-century account describes the following quote: “Vlad had a big copper cauldron built and put a lid made of wood with holes in it on top. He put the people in the cauldron and put their heads in the holes and passing them there. Then he filled it with water and to the fire under it, let the people cry their eyes out until they were boiled to death.” Then he invented frightening terrible unheard-of tortures. He ordered that women be impaled together with their babies on the same stake. The babies fought for their lives at their mother’s breasts until they died. Of course for too many Romanians, these tales are regarded as specious at best and Vlad is sometimes seen as a national hero who resisted the expansionist power of the Ottomans. Of course for too many Romanians, these tales are regarded as specious at best and Vlad is sometimes seen as a national hero who resisted the expansionist power of the Ottomans. However, few people seem to realise that it is entirely possible to be both a hero and a villain and this is likely the most accurate picture. As one of the most recent major events to take place in Romania, thousands of Romanian citizens have stood up to their government’s attempts to limit penalties to politicians who engage in corrupt behaviour such as bribery. The legislation has been claimed by those presenting it, is meant to curtail the amount of people who wind up in prison for so-called minor offences. The Romanian language is truly unique among Romance languages. The so-called daughter languages of Latin include Spanish, French, Italian, and Portuguese. Because of the unique historical circumstances that surrounded and led to specific developments found in Romanian but not in other Romance languages, for one thing, it is a wonder that Romanian is a Romance language which has even survived the centuries in a remote Roman province that had far less influence compared to places such as Italy. After the Roman Empire had fallen, the region of Dacia was beset by numerous invasions of Slavic people as well as others, and this isolation, along with frequent contact with Slavic languages, created the unique linguistic state of affairs we find in the Romanian language. Today, Romanian is more archaic than other Romance languages and has preserved at least partially the Latin system whereas this has entirely disappeared from other Romance languages. Romanian retains three of the six original cases where the nominative and accusative are morphologically identical as is the dative and genitive, and the vocative being used infrequently in Romanian unlike other Romance languages. The language also retains the gender category of neuter in addition to masculine and feminine. Romanian also shares grammatical features of languages that share the same geography such as Bulgarian in that the definite article is put at the end of a word rather than in front of it. This is a testament to Romanian’s unique linguistic history. 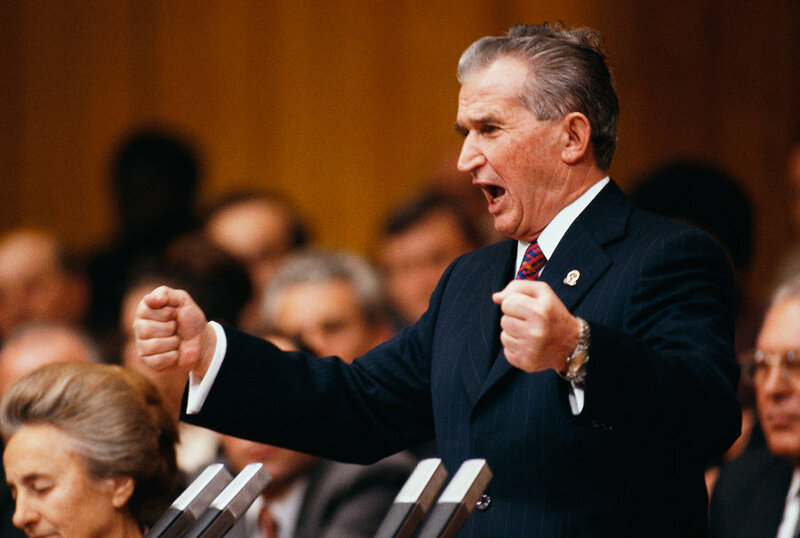 Nicolae Ceausescu is the last major Soviet puppet and communist leader in Romania who, interestingly enough, was overthrown on live television while in the middle of giving a traditional calm in his speech in late 1989. He would later be executed by order of a court several days after. Born into a peasant family of ten and in office for over 20 years, it is hard to tell if he actually believed the communist propaganda, but most people who lived for his regime considered him as nothing more than a Soviet puppet and tyrant. Romanian food is a unique blend of different dishes from many countries it has come into contact with. At the same time, it maintains its own character and it has been heavily influenced by Ottoman cuisine while it also includes influences from the cuisines of other neighbouring countries such as Bulgaria and Hungary. There are many different types of dishes – for example, a wide range of soups with a characteristic similar taste. These may be meat and vegetable soups, calf soups or fish soups – all of which are soured by lemon juice, sauerkraut juice, and vinegar. In Romania, exotic and almost mystical, the Carpathians are a mountain range that runs through eastern Romania and includes a huge amount of biodiversity and remains an incredibly popular tourist destination for both a beautiful landscape as well as a popular spot for skiing. 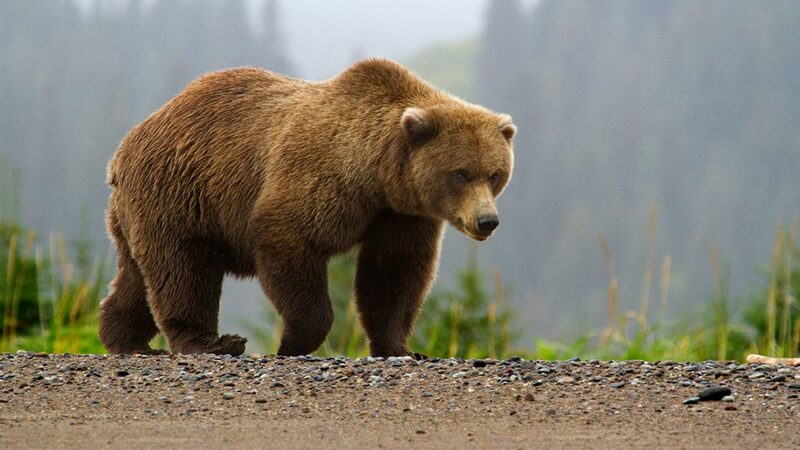 Large predators such as bulls and bears as well as all manner of smaller mammals populate this mountain range and are a popular reason for visiting for many wildlife aficionados. The relative isolation of the Carpathians has ensured the existence of these animals that have been wiped out in other places in Europe. Speaking of bears, the love for this majestic animal manifests itself in Romania in many ways, including a unique but familiar holiday enjoyed nowhere else but in Romania. Unlike most other European countries, Romania has many bears and the celebration of the day of the bear is thought to be related to the bears’ hibernation cycles and the changing of the seasons. Speaking of bears, the love for this majestic animal manifests itself in Romania in many ways, including a unique but familiar holiday enjoyed nowhere else but in Romania. Unlike most other European countries, Romania has many bears and the celebration of the day of the bear is thought to be related to the bears’ hibernation cycles and the changing of the seasons. You might have never guessed it but cigarette smuggling is an incredibly lucrative business Romania as a single hand-rolled cigarette coming in from neighbouring Ukraine could retail for up to half a euro in Romania. Officials have consistently cracked down in over thirty smuggling operations and confiscated almost 10 million packs in 2016 alone. But where there is profit to be made, such businesses continue to flourish as no government can keep people away from a good deal even if that deal comes in the form of smuggling cigarettes. 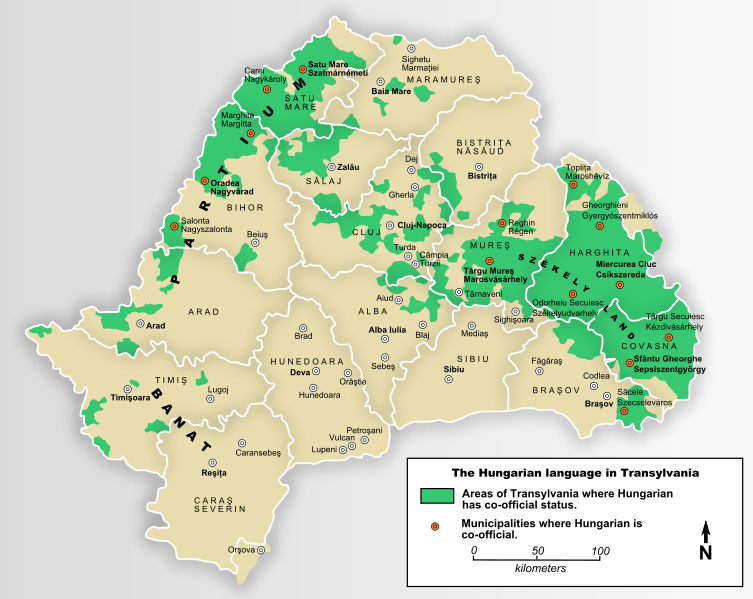 Hungarians make up the largest ethnic minority in Romania, numbering well over 1 million and their presence in Romania is largely a consequence of territory that had formerly been Hungarian but was ceded to Romania after World War 1. Tensions since then have been high as most Romanian Hungarians do not consider themselves Romanian and view the lines they live in as fundamentally Hungarian. However, as modernity has pressed on, fewer ethnic tensions have arisen in recent years and most people whether officially Romanian or Hungarian Romanian are content and let sleeping dogs lie.